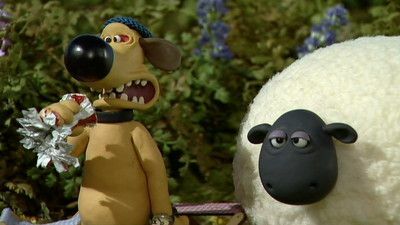 This is a show from Aardman Animations ('Wallace & Gromit') about a Sheep named Shaun. 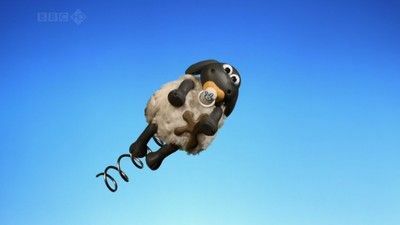 Shaun was originally a character in the movie 'Wallace & Gromit: A Close Shave' where one of Wallace's contraptions sheared off all of Shaun's wool. 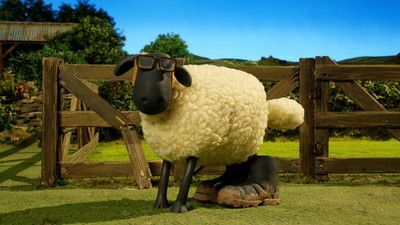 For the remainder of the movie, Shaun wore a sweater made from his own wool. 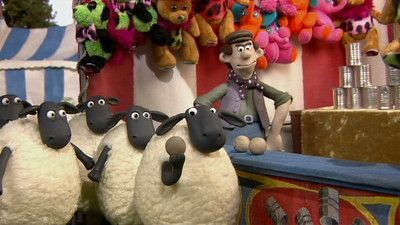 In this series, Shaun has many adventures with his barnyard compatriots and the rest of his flock. When Shaun and the Flock discover that a pair of nesting Ducks has stolen their bedding to make a comfy new home up on top of Bitzer's kennel, the battle is on to set things straight. 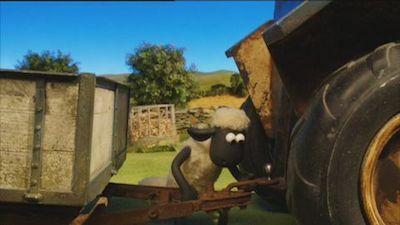 Shirley's snoring is keeping the flock awake, so Shaun decides that the only way to get a peaceful night's sleep is to get her out of the barn. 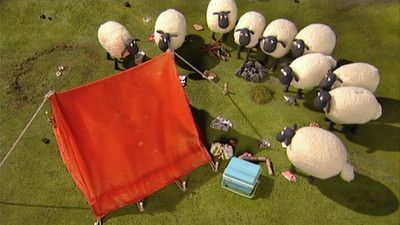 An unfriendly camper sets up his tent in the sheep's field. 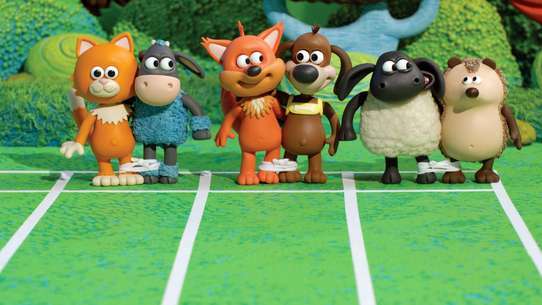 When he goes off exploring, Shaun and the Flock decide to do some exploring of their own. 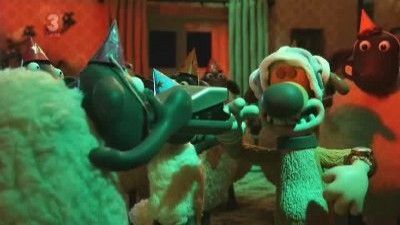 With the flock in a dancing mood, not even a molehill can spoil their fun... or can it? A magpie has nested in the big tree and is causing chaos by stealing everything around the farm. The magpie's nest soon begins to fill up with loot and Shaun has to come up with a brilliant plan to outwit the burgling bird. 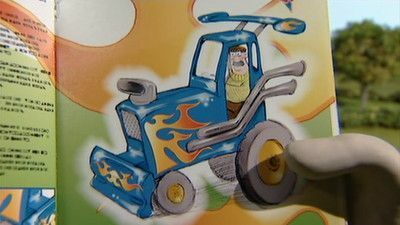 Bitzer's kennel is accidentally destroyed by the farmer's tractor crashing into it and the canny canine hopes the farmer will replace it with a new deluxe model. 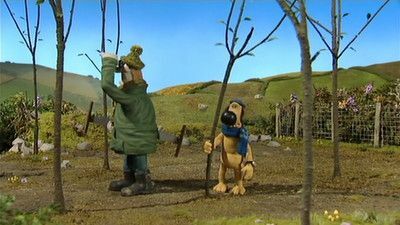 But when he sees his master's clumsy attempt to build a new kennel, Bitzer is so horrified that he packs his bags and leaves home. 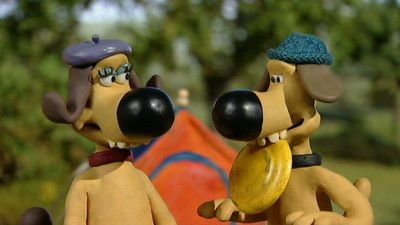 Shaun, however, hopes to tempt Bitzer to return with the kennel of his dreams. At the first scene, the flock are having a party at the chicken coop. 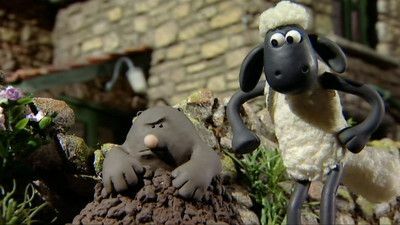 When Timmy sees a particularly grumpy farmer giving one of the flock a hard time, he decides to give him an idea of what it's like to be a sheep. 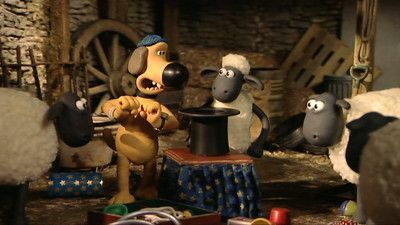 When the Farmer decides to throw out his magic set, Shaun decides to put on a show - but things get out of hand when the flock start disappearing! 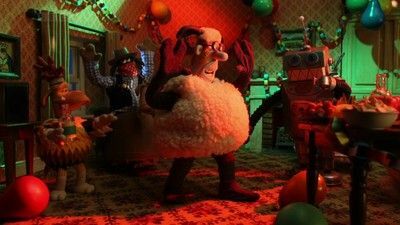 While the farmer is away on a night out, the sheep sneak into the farmhouse for a party. 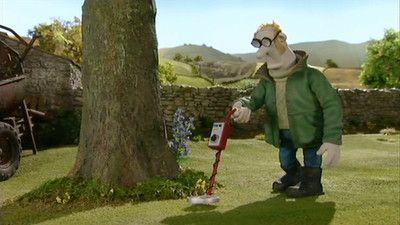 The farmer inspects the lawn with a metal detector. 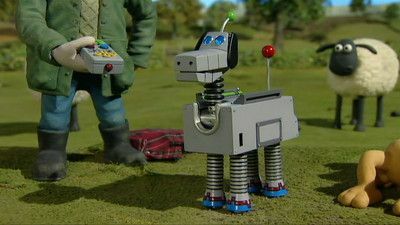 When Shaun and Bitzer try it, they discover a metallic threat behind a hedge. Shirley drinks Bitzer's lemonade too fast and gets the hiccups. 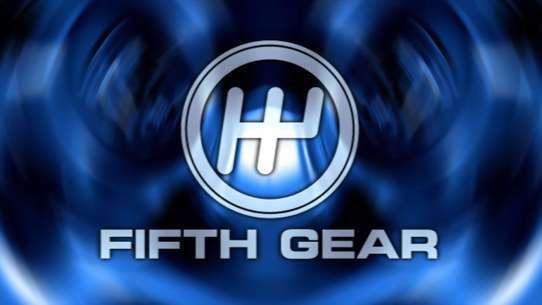 Shaun tries to help with all the usual tricks, and the usual results. 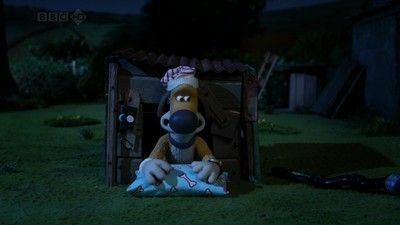 Bitzer has caught a cold and the Farmer decides to tuck him up in the house to recover. 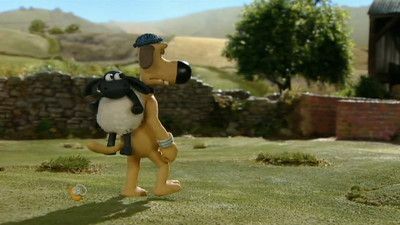 With Bitzer head over tails in love with a local lass, can Shaun keep the flock in order? 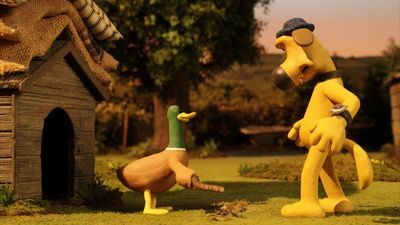 Bitzer glues the Farmer's broken glasses back together - but when the Flock get their hooves on the tube of glue, things start to get very sticky. 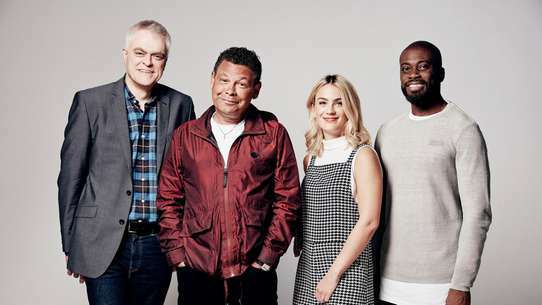 The Farmer wants to turn the tree in Shaun's field into firewood. So the Flock must take desperate measures to stop their beloved tree getting felled. 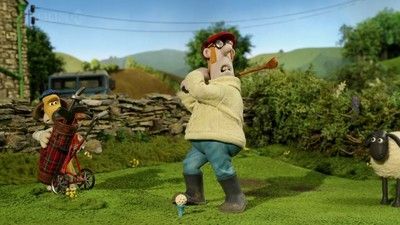 Tired of eating grass, Shaun sets out to pinch one of the Farmer's prized apples only to have every attempt ruined by his constantly sneezing accomplice - a Sheep, who much to Shaun's frustration, has decided to be his new best friend. 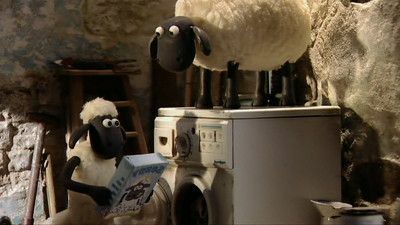 The sheep use the farmer's clotheshorse as a merry-go-round - the garments get dirty and have to be washed before the farmer returns. Nearly all the sheep take the bus to the funfair. 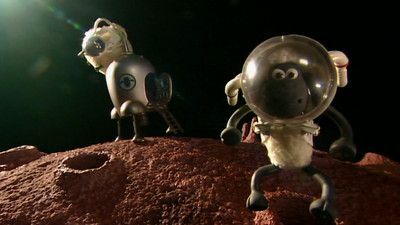 Shaun and Shirley must convince the Farmer that the flock is out to pasture. A reluctant Timmy tries to avoid bath time and in trying to escape he gets a spring attached to his tail. 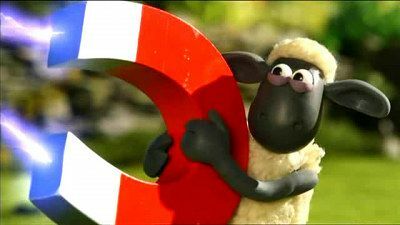 It's up to the flock to catch the bouncing baby sheep and return him to the tub before he destroys the farm.